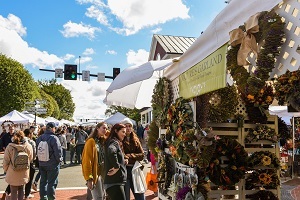 Celebrating its 43rd year in 2019, The City of Fairfax Fall Festival invites you to participate with more than 400 juried crafters and food vendors showcasing their wares. 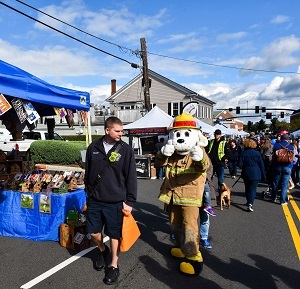 Enjoy this family friendly exciting outdoor street festival in the heart of the City of Fairfax, VA. Activities include children’s activities, amusement rides and musical entertainment for all ages. FREE ADMISSION!!! Attracts over 20,000 shoppers annually. For more information, call 703.385.7858 or visit www.fairfaxfallfestival.com. All work must be original, handcrafted art and craft items produced by the vendor (US based artists only) and must be representative of items juried. Parks & Recreation reserves the right to request an inventory of items to be sold by vendor and to disallow any entry based on the guidelines and decisions of the Selection Committee. Copyright and/or trademark images, names and products may not be sold unless vendor has written permission “To Sell” by holder of copyright or trademark. Examples are “Disney”, “Warner Brothers”, “Precious Moments”, professional and college sports teams. Kits & commercially manufactured merchandise. Novelty sale items including inflatable toys. No canopies, tables or chairs will be provided. It is highly recommended, though not required, that vendors bring canopies to the Fall Festival. Vendors must provide tie-downs, weights (such as sandbags), and any other sturdy equipment necessary to stabilize canopies, displays and artwork. This is a rain or shine Event, No rain date. 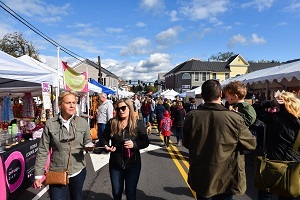 Failure to comply with regulations will result in vendor being prohibited from future participation in City of Fairfax craft shows. Festival opens at 10am and closes at 5pm. Set-up is scheduled to take place the morning of the events. Vendors may start setting up at 6am however no vehicles will be allowed to enter into the festival area after 8:30am. All vehicles must be removed by 8:30am. Detailed times will be provided upon notification of acceptance. For the Fall Festival, vehicles will be able to drive up to the vendor space location. Each exhibitor is responsible for his/her own booth set-up and take-down. Staff is not authorized to assist with set-up or take-down. Canopies, tables or chairs will not be provided. It is strongly recommended that vendors carry their own insurance policy to cover their actions. The City is not responsible for loss or damage to exhibitors or vendors. NOTE: By applying to exhibit at the Fall Festival, all exhibitors and their personnel waive any claim against, and agree to hold harmless the City of Fairfax and the Parks & Recreation Department, and their employees and volunteers, from any and all liability for damages or injury incurred during participation in the Fall Festival. In the event of a cancellation by a vendor prior to August 10, 2019, a full refund of the participant fee paid will be made to vendor. After August 10, the Parks & Recreation Department will retain all fees paid. 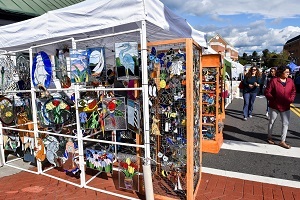 Per space: $160 Crafter (10'x10') – Paid directly to City of Fairfax not through Juried Arts.